With the innovation of technology, the lives of people whose work involve drawing designs are made easier than before. 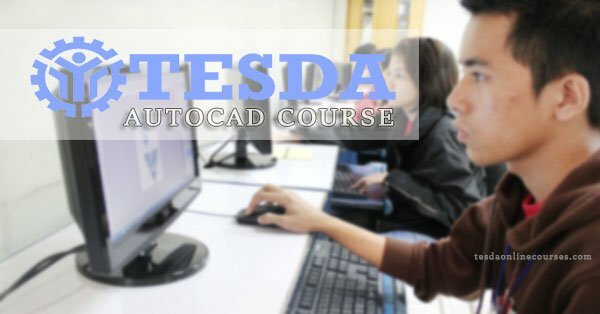 AutoCAD is a drawing software that has been utilized in making computer-aided designs. It is being used by engineers, architects, project managers, draftsmen, graphic designers, and other professionals. This drawing software provides many advantages than manual drafting. The user can create a 2D or 3D drawings accurately and efficiently. The good thing about using this drawing software is that it reduces the time spent in making new layouts and at the same time lessens the manufacturing costs. One of the possible advantage of using AutoCAD is that the user can correct the design in case there’s mistake without redoing the whole thing. However, learning AutoCAD requires an individual to undergo formal training. The training period may take about three months and the software would cost you big amount of money. Although there are AutoCAD software that you can download free, but it is more advantageous to learn AutoCAD in a classroom environment. TESDA has been offering this course in partnership with the accredited schools. Interested students should inquire from the school regarding the requirements for enrollment, the schedule, and the tuition fee.